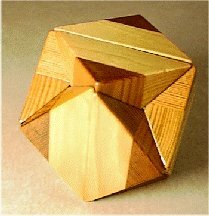 The HexaQube is the result of an intersection of a star rhombic dodecahedron and an ordinary cube. The HexaQube is a member of The Magic Crystals family which means that it's parts can be used in combination with pieces from any other family member. 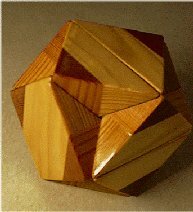 It has a hollow cube shaped cavity inside of it, so to some extent it's a Box Puzzle. 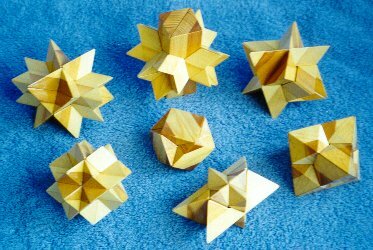 The cavity inside can be made in a form of an octahedron, too. In this case the puzzle suddenly transforms into "HollowQube" and becomes a member of The Hard Nut family.